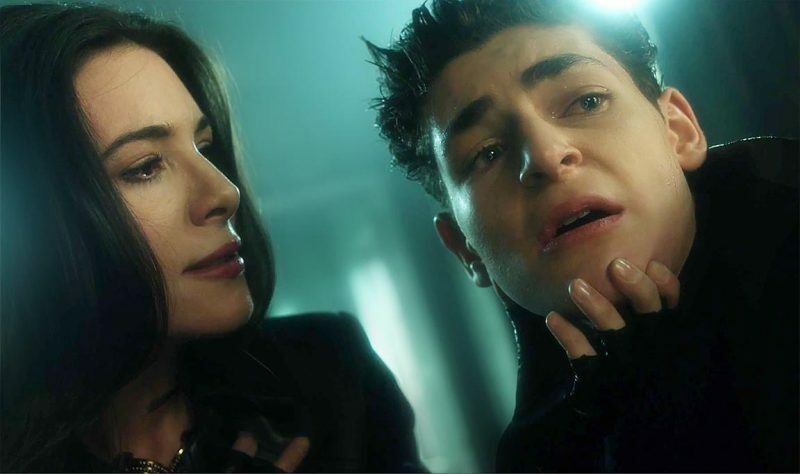 Gotham returned after a weeks break with another anticipated episode, because of the character featured in the title. Director Kenneth Fink was back to bring Bane to life on our television scenes, and it wasn’t disappointing. 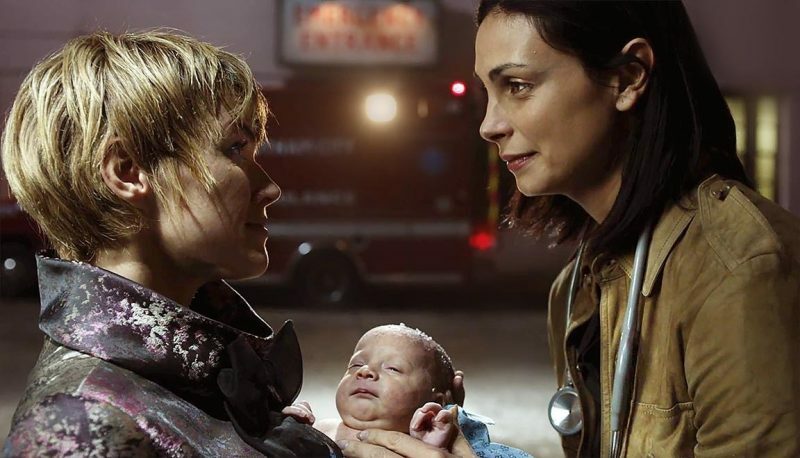 Chad Fiveash and James Stoteraux made their writing debut this season with the excellent episode “Ruin” where Selina Kyle (Camren Bicondova) wants her revenge on Jeremiah (Cameron Monaghan). So it makes complete sense to being Chad and James back for another tale of revenge but from Secretary Theresa Walker (Jamie Murray)…but is that her real name? Gotham is certainly starting to feel like the beginning of the end, and I mean that in a good way. The developments of the characters and the way the story arc has developed in this final season has gone beyond expectations. This episode alone sees an iconic Batman baddie, who I didn’t know much about until I saw The Dark Knight Rises. I was reminded recently that there was a live action version of Bane in Batman and Robin which I am sorry if I offend anyone, he was awful. 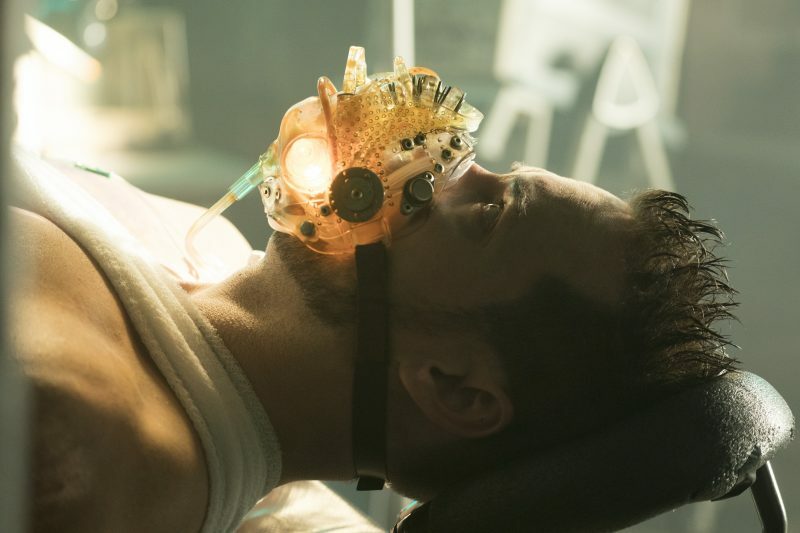 One thing for sure Shane West has made his own mark in the DC Universe with his version of Bane. The layering of this episode gave us moments of classic Gotham which I said aloud “this is so Gotham”, brutality, humor and sadness. The day that Captain James Gordon (Ben McKenzie) has been working towards with Detective Harvey Bullock (Donal Logue), the GCPD and Bruce Wayne (David Mazouz) has arrived. General Wade’s (John Bedford Lloyd) landing dock has arrived safely and himself and his convoy are on their way to the GCPD. Jim has reservations about what happens next after the bridges are rebuilt things won’t suddenly improve. Harvey can see the future has Jim spooked. He’s about to become a father and he really wants to believe that things will get better. Harvey hasn’t got any children, none that he knows of but he sees they have no choice but to believe. Bruce has been monitoring the toxicity levels in Gotham with Lucius Fox, his filters have worked. Bruce also notices the lack of enthusiasm of this news from Jim. Harvey is happy to explain that Jim has a lot on his mind, but joking aside Harvey makes a very much needed speech. They are all still alive because of Jim. Over the part year everyone has worked together to make Gotham a safe place for families, and provided people with food and medicine. The hard work will still need to continue. General Wade arrives and is genuinely pleased to meet Jim finally in the flesh. I really like how Jim automatically goes back into his military style of posture and talking while greeting the General. He seems satisfied that the Green Zone has stretched to all corners of Gotham but it’s the toxicity levels that will seal the deal. Bruce’s confidence in the toxity readings also shows just how mature he has become. But the General has his own people to decide on the what figures are correct. The SS Gertrude is ready to set sail beneath the Gotham river. 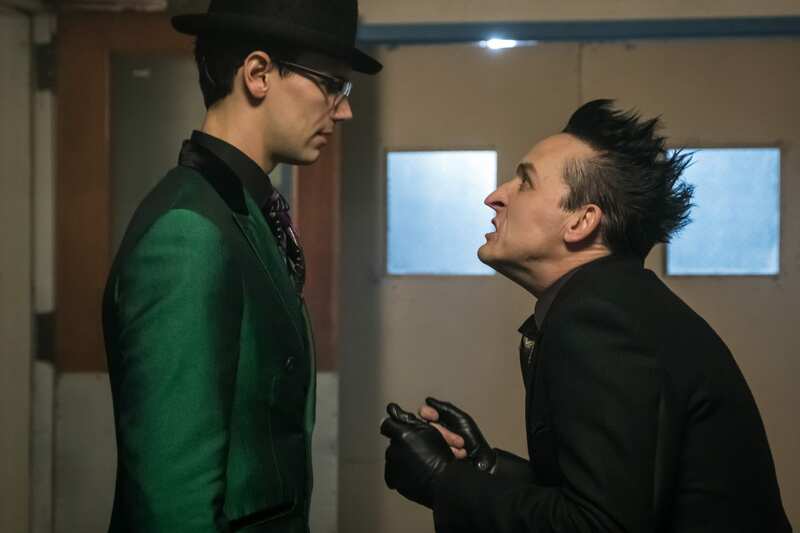 Oswald Cobblepot (Robin Lord Taylor) and Edward Nygma (Cory Michael Smith) await the arrival of Barbara Kean (Erin Richards). 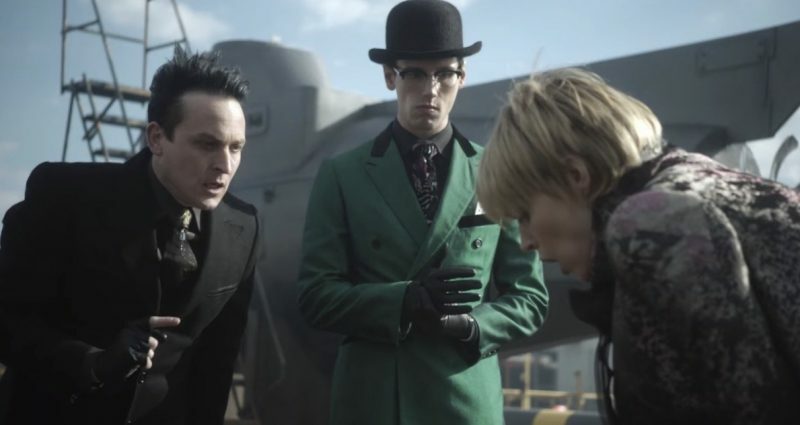 As soon as this scene starts Penguin and Riddler are the scheming duo and not really going to make things easy for Barbara. 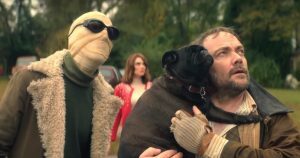 The three of them provide the comedic element throughout their scenes in the episode. Ed being in charge of how much weight is allowed on the submarine is very precise in his figures. Whilst bickering over how much knickknacks Penguin already has on board, Barabra goes into labour. Oswald assures Barbara they will be here waiting for her with she returns with her bundle of joy. Penguin uses a clever tactic in offering to drive Barbara to the clinic in her delicate condition. Delicate! Is definitely one word Barbara would not describe herself as. 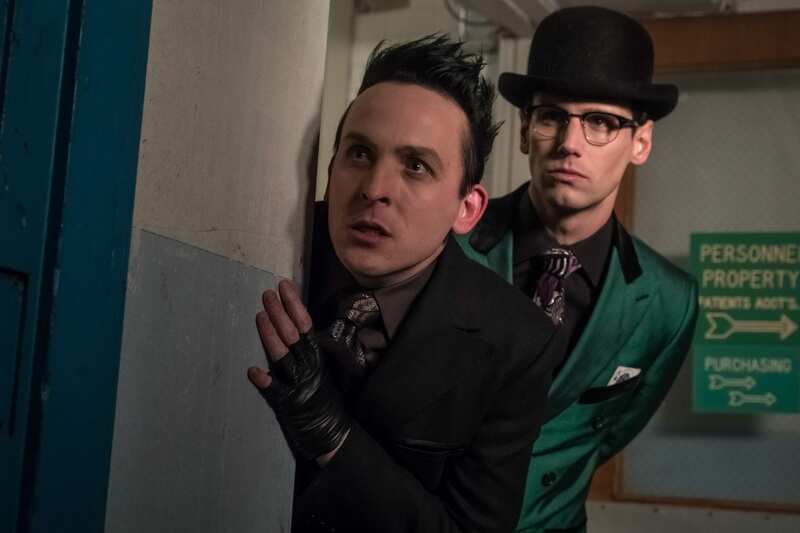 With two less passengers to worry about Ed and Oswald decide its time to leave Gotham. We don’t often see Selina Kyle and Alfred Pennyworth (Sean Pertwee) alone together in a scene. The only time it does happen if they are rescuing Bruce. It’s a fresh of breath air to see two of my favourite character getting along. Selina is looking at old dusty, cobweb covered books. 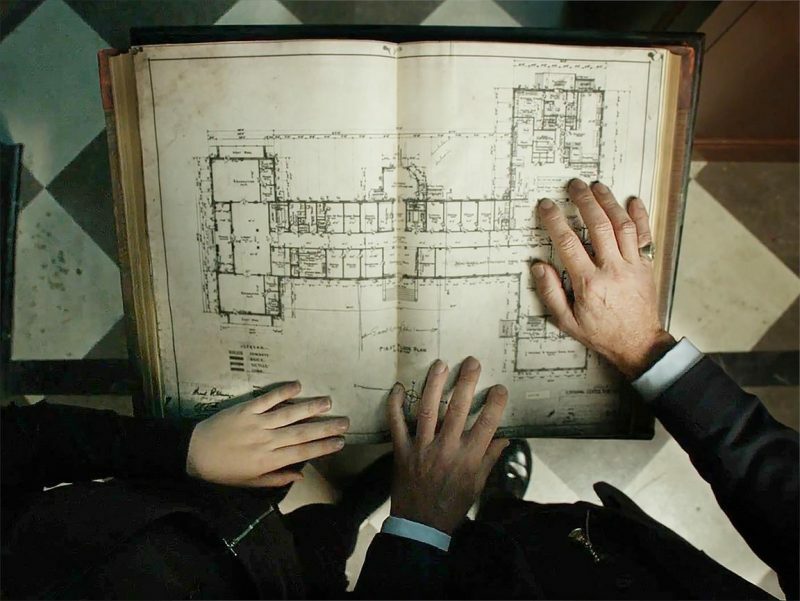 She finds the one Alfred needs, which contain the architectural plans for Wayne Manor. Alfred feels with reunification a new Wayne Manor must follow. Selina asks why are they looking at the old plans. Alfred admits maybe he isn’t prepared to let go of the past. Selina wishes she could blow up her past, Alfred being full wise wisdom thinks maybe Selina will be able to. As for Alfred, Master Bruce is now grown so building a Manor may be his last great service to him. Selina asked the question I was thinking Alfred retire? No, Alfred will do what he has always done stand guard. It’s always interesting to see how men react to their first born coming into the world. Jim Gordon emotions show this perfectly. It’s not great timing for a baby to arrive as Gordon, Bruce and Bullock are awaiting to see if reunification will happen. 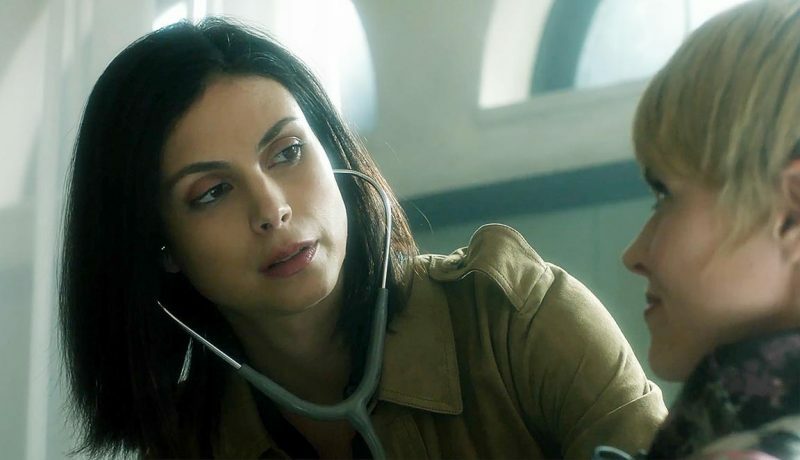 Leslie Thompkins/Gordon ( Morena Baccarin) radios through the good news. Jim promises he will do his best to get there for the birth and asks if they can hang on! Lee in an amusing tone reminds Jim that childbirth doesn’t really work that way. Jim Gordon doesn’t really smile a lot but he just got the second piece of good news. General Wade confirms the figures of the toxicity readings are correct and reunification will happen. With a rumble in the background an incoming attack has started. Jim orders everyone inside as a large truck pulls up. Out from the smoke appears Bane. Men are screaming as Bane crushes them like paper straws. Jim calls out Eduardo name but in the familar deep breathing raspy voice he tells Jim he isn’t anymore. A sedation dart gets fired into Jim, Bruce and General Wade necks as they are kidnapped. Bullock has certainly been a specialist this season in finding Jim. He rallies the troops and Selina and Alfred have arrived to help. Jim tries to understand what Walker has done to Eduardo, he evens attempts to bring empathy to their conversation. Bane talks of his time in Pena Dura prison, as the guards used to play a game. They would choose a prisoner and bury them alive. The guards would bet if the chosen prisoner could dig their way out, Eduardo was the champion. To survive he had to stop being human, become something else. So he became Bane. Walker showed him the way as he didn’t know it yet. Bane feels that to live in a world of monsters you must become one, as it’s the only way to defeat them. Jim compliments Bane at what a good solider he was, but doesn’t want Jim to pity him. The future is now a purity mission and Walker is willing to carry things out. A new world is coming, strong, merciless, and unyielding. Jim has heard all this before and it’s not going to happen. Because he kidnapped the General and Bruce Wayne, Bane doesn’t have a future. One last time Bane reminds Jim that Eduardo is dead. Walker finally meets Jim, he recognises her voice and does question what he calls her. Jim knows Walker isn’t her real name, she admits Jim has asked a good question. Bruce has been brought into the room to help answer this question. Jim is happy to stay as a hostage in return for Bruce Wayne’s freedom, as Jim thinks this has nothing to do with Bruce. Walker is amused that Jim doesn’t really know what “this” is. Everything she has done is about punishing Gotham and the sins of Bruce Wayne. Walker tells Bane he can start now, which means he can start beating up Jim. Bane strikes several times before Bruce is told by Walker that she needs a name from him. Can Bruce guess who’s it is? At this moment I did have a suspicion that the name may be Ra’s al Ghul. Bruce still doesn’t get what name Walker is after. The scene is played out so well by David Mazouz, Bruce can’t concentrate on what Walker is asking him as he watches one of his father figures being brutally beaten. “Who am I doing this for? Say his name.” Walker gives the nod for Jim to get another beating as she explains how a loved one dying is like a part of yourself being cut off. Bruce looks in horror as he is given a last chance, he guesses correctly that the name Walker wants is Ra’s al Ghul. 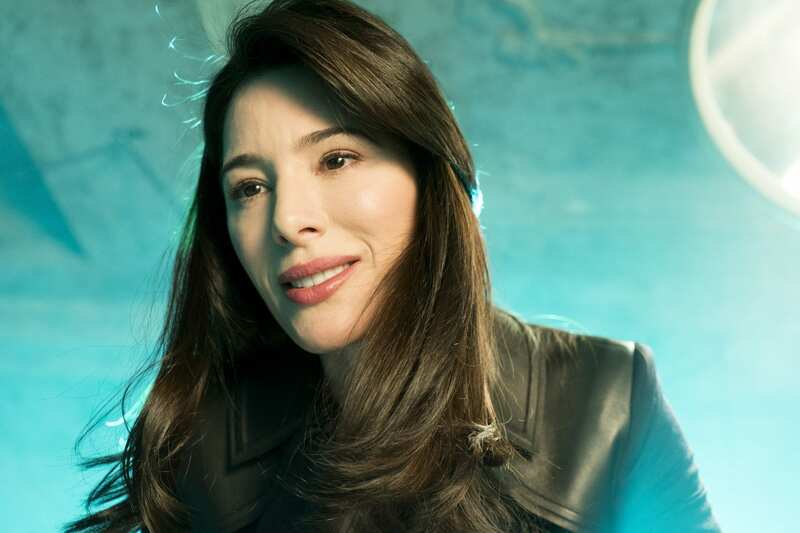 She is his daughter Nyssa al Ghul and she wants revenge for her father’s death. Nyssa talks to Bruce how the league of shadows are everywhere. She asks Bruce “did you think my father’s mission would die with him?” Human kindness is purged with weakness and Nyssa is starting with Bruce and anyone he cares for. Bruce admits to killing to Ra’s so whatever she wants to do him she can do it. It’s a no from Nyssa as she knows Bruce did have some help in killing her father. Someone who literally gave Bruce a helping hand. A flashback in Bruce’s mind shows Barbara holding the dagger and killing Ra’s together. Nyssa orders Bane to get Barbara Kean, Jim tells Eduardo she is pregnant. By mentioning she is carrying a child Jim hopes maybe there is humanity left inside of Eduardo but it’s one souls future weighed against the world’s. Nyssa turns to Jim as she thinks Bane wants Jim to see the world as he sees it. Hugo Strange appears from a corner and sedates Jim. Nyssa wants to know what it’s like for Bruce knowing that it’s his fault? 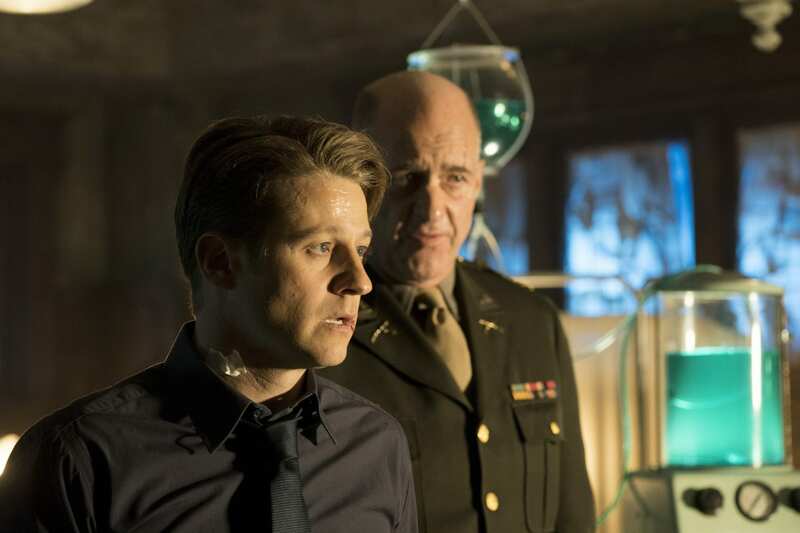 Gotham sometimes presents me with annoying plot holes, and this is one of them. What i needed was just a sentence explaining how a heavily pregnant Barbara would steel a pressure gauge. I also would question if she knew what to steal to prevent Ed and Oswald double crossing her. Of course there are plenty of logical explanations. Barbara probably had one of her ladies from the league of shadows steal it the night before they were due to set sail. But just an added sentence to the conversation when Barbara gets confronted by Ed and Oswald would of been perfect. As Leslie examines Barbara she notices Barbara is in a bit of a hurry. Whatever is on Barbara’s mind the health of the baby comes first. Lee goes to get Barbara some ice chips as the contractions get more frequent. Lee and Ed meet for the first time since they stabbed each other. Ed tone is hostile as he reminds her of this. Oswald barges past as he wants the item that Barbara stole from them. Lee confused at what is going on as she doesn’t want Ed and Oswald anywhere near Barbara. Oswald gladly agrees to leave as soon as Barbara gives back the valve. It’s not really the time to be bickering about who screwed each other first but it’s a perfect ‘so Gotham scene’ and it’s gets better. Oswald draws his gun, points and threatens Barbara, he gets scolded by Lee for pointing a gun at the baby. Oswald instantly detracts and apologises loudly to the baby. 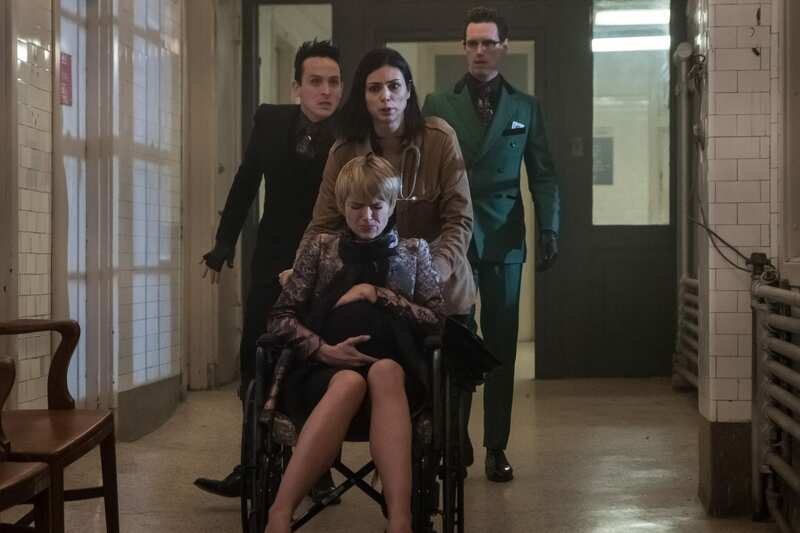 During a contraction Barbara confesses she has the valve hidden safely and Oswald threatening her is nothing compared to what pain she is going through at that moment. Bane walks through a demolished wall of flames a nurse runs towards him, he kills her instantly. In an amusing moment Bane rings the desk bell and speaks into the microphone to announce that Barbara Kean’s time is up. She cannot run from her sins and cannot run from Bane. The continuation of this scene makes it one of the most memorable scenes in this season and the history of Gotham. Lee puts Barbara in a wheelchair and intends to take her to the ambulance bay. Ed and Oswald agree to buy them time otherwise they won’t get the valve back from Barbara. Oswald isn’t overly pleased when Ed agrees as he didn’t bring enough ammo so what are they going to use. Bedpans? Ed was actually thinking of something more flammable and motions to the oxygen tanks in the corner. Lee stears Barbara in the wheelchair, as Barbara holds two loaded guns and fires at Banes men. Barbara’s contractions get quicker and she more than happy to take out as many as Banes men as possible. The reality of this scene is surreal as I am watching a pregnant woman in labour firing guns and this makes it a truly a unique Gotham moment. Oswald and Ed watch as the canisters head towards Bane as he steps out of the elevator. It explodes but Bane proves he is unstoppable as he walks through the flames. Whilst waiting for the area to be safe Ed gives Oswald a riddle, which he gets wrong then reveals he managed to get back the valve. Oswald is ecstatic then realises they stuck around long enough to risk both their lives to save Barbara or was it Lee’s? Does Oswald really want Ed to answer that or does he want to sail away? It’s definitely Bon voyage from Oswald. Bruce is still held hostage. Nyssa decides to tell him about a military secret, it’s called Special Order 386. It’s a contingency plan that was put in place in the event that if Gotham lost to reduce the city to rubble. Bruce asks again what Nyssa wants from him, well she wants Bruce to suffer. Nyssa leaves Bruce with his thoughts before she starts his process of killing him. Bruce looks around the room, there are two candles lit on a table behind him. He manages to move his chair so he can burn the rope that has his hands tied. It’s a great scene because as Bruce lets the flame of the candle burn the rope he genuinely looks in pain and he is sweating. When he does manage get free Bruce uses the chair to knock out Nyssa soldiers. 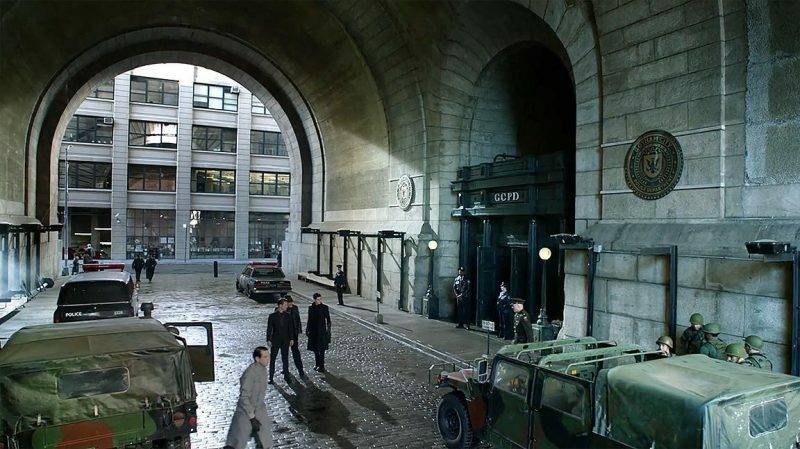 Bruce radios through at the GCPD, lucky for him Alfred and Selina are still there. Bruce’s instructions to Alfred is to go to the hospital to help protect Barbara and her baby. Lee takes Barbara to the ambulance and questions her motives of getting involved with Riddler and Penguin. Was she going to be a fugitive? Barbara in between breathing and contractions asks who side Lee is on? Obviously it’s the baby’s. This is a fantastic scene between Lee and Barbara as Lee genuinely reassures Barbara she can live and raise her baby in Gotham, as Jim won’t take her baby away from her. Barbara is not convinced as she can’t see Captain James Gordon letting a criminal raise his baby and already her baby is being shot at. Barbara wants to be strong, Lee reminds Barbara that being strong doesn’t mean she has to be a criminal. Jim will help Barbara and so will Lee if Barbara agrees to it. In a touching moment Barbara admits it’s weird, but talks to her pregnant tummy, “Hey baby this is your Auntie Lee. Mommy tried to kill her once, maybe twice.” They need to keep moving but baby Kean/Gordon is on the way. Hugo Strange has given Jim a stimulant to prepare his muscles. Jim will also recieve the venom given to Eduardo. 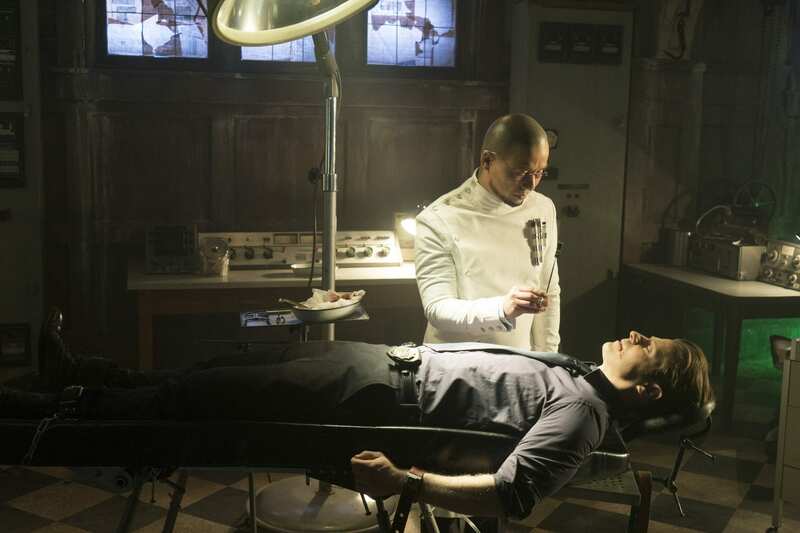 Hugo warns him it will be excruciating, Jim agrees it is as he gets burst of energy and breaks free of his restraints. Even though Jim throws Hugo to the ground the Professor can’t help but laugh at the evident fighting spirit that he has always admired in Jim. Hugo escapes to sound the alarm. General Wade is tied to another chair. Jim removes the tape over his mouth and checks to see if the General has been chipped like a Nygma and Lee. Bruce finds Jim and the General and informs them that Alfred is on his way to the hospital and Nyssa’s plan to wipe out Gotham. 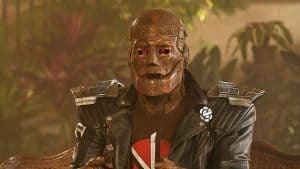 The General can order the army to stand down which sounds like a good plan, until we see that the General is chipped as his eyes go white as Jim and Bruce leave before him. Future Batgirl has been born. Barbara and Lee both admire the beautiful soul that has been born in the chaos of Gotham city. As Barbara is figuring out what to call her new daughter Bane arrives. Alfred drives straight into Bane and Selina gets out of the car to get Barbara, Lee and the baby to safety. Selina tells Lee to drive as Alfred and herself take on Bane and they both put up a good fight. Another emotional scene Alfred is angry as Bane injuired Selina and he decides to fight Bane on his own. Alfred really doesn’t know the strength of Bane or who he is and uses all his fighting skills. But Bane in a brutal moment picks Alfred up and throws him against a metal post. Selina screams and crawls on her hands and knees to a lifeless Alfred. Sean Pertwee did warns the Gotham fans at New York Comic Con that Bane would badly injure Alfred, but this was brutal. General Wade arrives back at the base. Jim and Bruce watch as he asks for a secure line to the mainland. Harvey is pleased to see Jim as he just got word from Lee that Jim has a daughter and they are on their way back to The Sirens. Jim can’t speak he is overwhelmed with joy and it’s another nice moment. He also can’t believe they have won its over, Harvey agrees and because of this Jim’s daughter is going to have a better world because of it. General Wade is authorising Special Order 386. Gotham city is lost and he orders the bombing. Jim, Harvey and Bruce are arrested. Lee takes Barbara back to The Sirens. They are confronted by the Ladies of The League of Shadows and nightclub guests have all been massacred. Before Lee can tell Barbara to run Nyssa al Ghul knocks Lee to the floor. Nyssa introduces herself to Barbara as she gently touches the head of Barbara’s daughter. Bruce was sure there was no scar on the back of the General’s head. 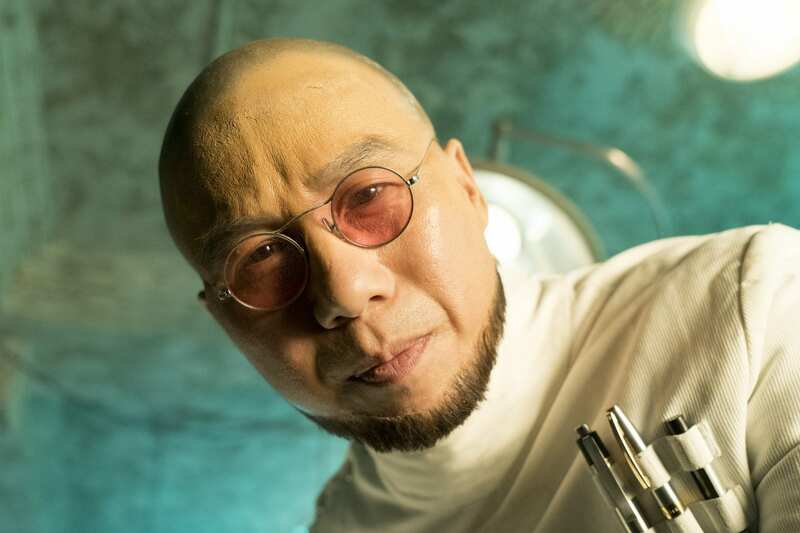 Harvey is sure Hugo Strange hid it in a place where they could not see it. Bruce knows Nyssa let them escape and bring the General back to the GCPD. They are being escorted by two soldiers and Jim takes the opportunity to tell them they are sticking their guns in his face the wrong way. This distracts the soldiers and Jim takes them out. Harvey, Bruce and Jim start to run as they can hear the sound of helicopters arriving to start bombing the city of Gotham. Episode 11 “They Did What?” will air on Thursday 18th April. I am assuming this will take us back to the first episode opening sequence where we got our first time jump. Jim and some unlikely allies are firing upon an army. I would score this episode 9.5/10. It drops half a point because I felt I needed an explanation how Barbara got the valve from the submarine. Otherwise it’s another well acted, written and directed episode of Gotham.